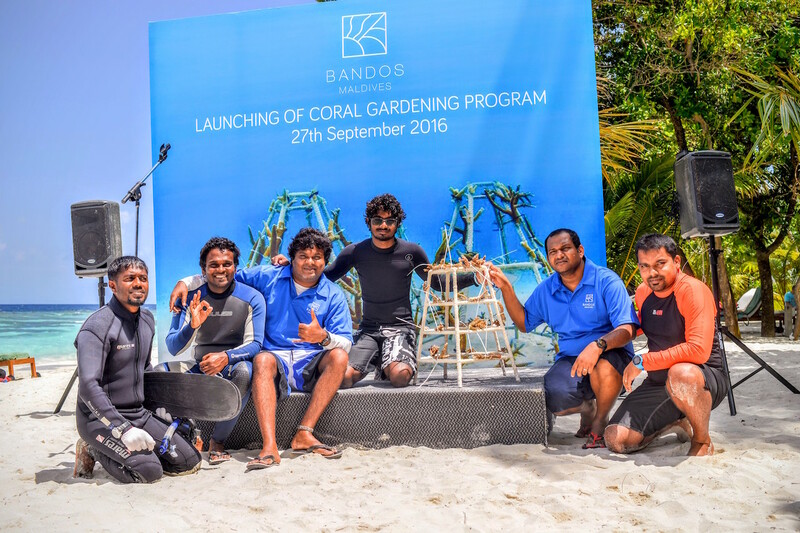 On the occasion of World Tourism Day 2016, Bandos Maldives has launched a Coral Gardening Project for visitors. The Bandos house reef is one of the best in the North Malé Atoll and a point of pride for the resort. This initiative is in line with the company’s Environmental Stewardship core value. “We have studied the Bandos house reef growth and studies indicate that coral gardening helps protect the reef and encourages growth sustainably,” states Hussein Shifau, Assistant Base Leader at Dive Bandos. 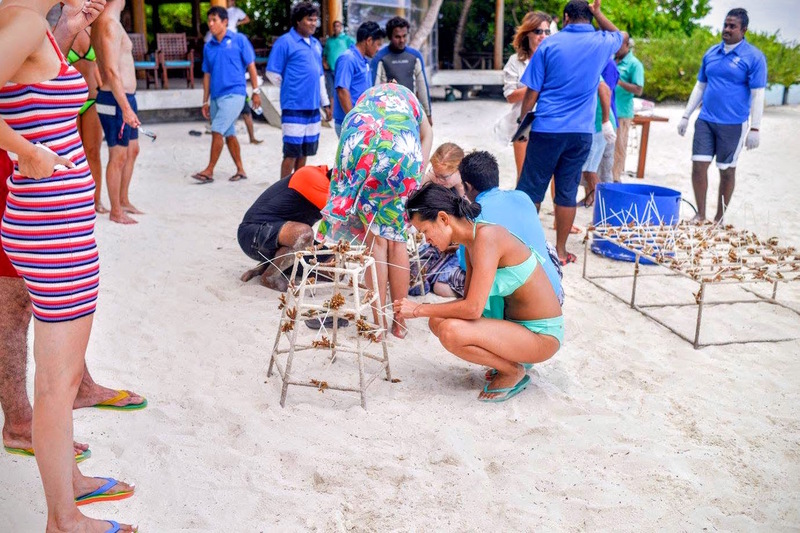 The Bandos Maldives Coral Gardening Program allows guests to give back while on holiday by collecting broken, but still living coral fragments from the seabed and attaching them to island-made coral tables. The “coral propagation” method is applied, where fragments of coral are transplanted to frames to create small but essential coral nursery areas. Bandos Maldives has also signed the Biosphere Reserve Pledge and has allocated an area of around 800sqm of the house reef as a core biosphere reserve. This reserve will be instrumental in conservation and the promotion of biosphere sustainability solutions. Aquaculture is showing promise as an effective tool for restoring coral reefs, which are in worldwide decline. With the Bandos Maldives Coral Gardening program, a long-term plan is implemented to share learning experiences with guests, accelerate coral growth regeneration in the atoll reef, and ultimately ensure the future of this unique destination.